Advocating the Rights of children (ARC) held its 9th Annual General Meeting today at Kurumba Maldives. During the meeting, ARC’s Executive Committee presented its Annual Report and Audit Report of 2018, which were voted on and approved by consensus. This was followed by a presentation of the proposed budget for 2019, which was also adopted by consensus. 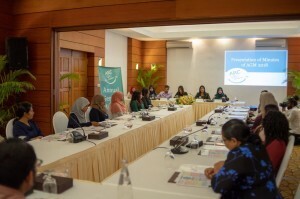 Prior to concluding the meeting, ARC’s Executive Committee members expressed sincere appreciation to ARC’s members, donors, volunteers and staff for their continued commitment and support to help protect and promote the rights of children in the Maldives.